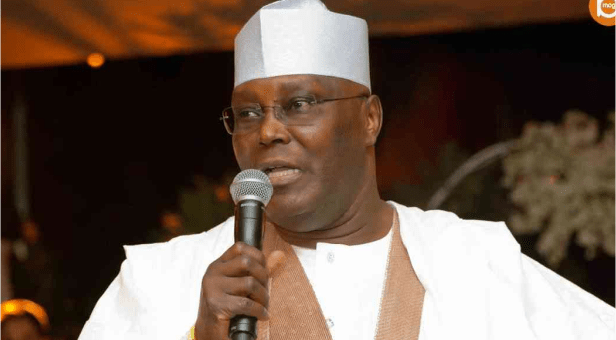 How could anyone, regardless of their political leaning, justify the slip up of presidential candidate of the Peoples Democratic Party and former Vice President, Abubakar Atiku, on Saturday? A man, desirous of leading 180 million people, out of which you will find millions of the world’s brightest, travels across the world to be part of a well-advertised presidential debate, gets to the venue alongside his retinue of associates and then, decides to back out because the incumbent did not present himself? Now, this is not about justifying the refusal of President Muhammadu Buhari to turn up for the debate. 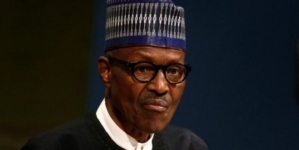 Even though not unexpected, the President’s absence and the excuses that followed make a mockery of the basic democratic demand for accountability. Handlers of politicians talk about campaigns being the most effective platforms to account for their stewardship and unveil their manifesto for the new mandate that they seek. But that is hogwash. 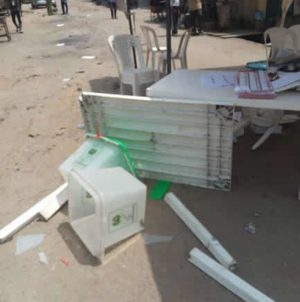 Political campaigns in Nigeria are nothing but mere jamborees where money is shared, popular music is played, ridiculous dance steps are displayed by politicians and violence erupts every now and then. Politicians are always in a hurry to end the display of the routine that political campaigns are here. They reel out vacuous promises, which none of their listeners, even if the cacophony around would allow them to hear, is interested in. They thereafter dash off to the next campaign event to tell their half-truths to the hapless citizens waiting in regardless of the unreserved protestations and anger of the elements, whatever it is, rain or shine! Why aren’t those at campaigns interested in what politicians are saying? Two reasons: the first being that they have been paid upfront by some political stalwart who has taken the contract to deliver a tumultuous crowd. Second, the people have heard these same stories over and over again such that they have lost meaning. So, do not be deceived. Those videos and photos you see showing a sea of heads at political campaigns, at literarily almost all campaigns in Nigeria, are largely contrived and involuntary! The people have learnt enough to demand instant gratification for standing in the rain or sun waiting for any politician, so it is money for hand, back for ground, as they say. But I digress. The point is that campaigns are no way to sell a political agenda to the people, debates are. This is why it is a tragedy that any politician genuinely seeking the mandate of the people turns down an opportunity to sell their ideas to them through the opportunity that debates present. 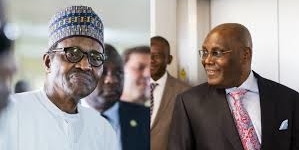 It is worse in Atiku’s case because his campaign organisation had claimed that he returned from his triumphant trip to the United States of America for this same debate that he walked out of because his major opponent did not turn up! It is a ludicrous position on a lot of fronts. First off, Buhari on whose score Atiku walked out on millions of Nigerians who looked forward to the debate is the person to beat in this contest. 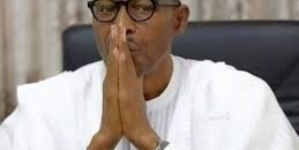 Not only have the people of Nigeria seen the best and worst possible of Buhari such that he has no new thing to prove to them, the power of incumbency also lies with him. And that, the power of incumbency, is nothing to joke with in this side of the world and Atiku and his PDP should know that better than anyone as their party had deployed that resource at occasions in the past. More importantly, they have tried to sell fears of the possible compromise of the 2019 elections to Nigerians. Unless their daily shriek about plans by the ruling All Progressive Congress to collude with the Independent National Electoral Commission and the security agencies to manipulate the upcoming elections is sheer crying wolf. Whether these claims are true or not however, Atiku’s only chances lie in his ability to convince the people of Nigeria that he has anything different from what Nigerians have seen in the past 20 years to offer. This is more so because so much has been alleged about his affinity with corruption that he is alleged to be perhaps one of the most outstanding posters of corruption in the country today. That debate would have presented him the opportunity to impeach those suggestions; the last of which was released while he was on his US parade. Atiku desires Buhari’s office and only the people of Nigeria can deliver that to him. That debate presented him with the opportunity to open the minds of the people to what he thinks the current government is doing wrong as well as sell his own philosophy and programmes. He suggested that the presidential debate was a referendum on Buhari, but he is wrong. The presidential debate is not about any particular President but the Presidency and those who aspire to it. So, what does Buhari’s absence got to do with any of these? What Atiku’s misstep on Saturday reflects is the legendary disdain with which the average political aspirant holds the electorate in Nigeria. They have not only made an industry of election rigging and stifling the people’s democratic voices, they have also designed structures that put the real people at the mercy of a select powerful few who have become part of the pipeline of corruption that government is in Nigeria. These political dealers are in bed with big time politicians. They make deals for huge sums of money on behalf of the people within their constituencies and then return home to the rural areas where the bulk of Nigerians voters grapple with poverty, sickness and lack to sprinkle financial crumbs. The average Nigerian politician thinks they can buy their way into office and on accomplishing that, walk with a sense of entitlement that only plays lip service to the capacity of the people to determine their future. The reality is that Nigerians are last on the politician’s warped priority list. They would rather spend more energy on convincing the “international community” about anything than speak to Nigerians. Take the drama that has attended the qualification or otherwise of Atiku to travel to the United States for instance. Those opposed to the PDP candidate made a massive issue of the alleged criminal complicity that is said to have made him a persona non grata in the US. These arguments went on so rabidly, you would imagine that having a US visa was a prerequisite to leading Nigeria. So, to puncture their argument, he packaged an American trip like those who are going to elect him live in America. And upon return, he chose to skip an opportunity to appear before the very people he needs for the actualisation of his ambition. It seems obvious that even though Nigeria is the country they want to lead, Nigerian leaders have no demonstrable confidence in the country. When they are not travelling for months to attend to their failing health, they are scampering off to prove a point or calling a strategy conference in the Far East. So, Nigerian politicians are full of contempt for the citizenry, they also do not have faith in the country they want to lead. This is why they do not care about attending debates and when they do, they are ill-prepared confident that they will win the elections, anyway! But things would be less worrisome if Nigerians do not easily fall prey to the antics of politicians. For the love of country, it is ideal that every citizen have a sense of right and wrong and speak truth to power when the occasion calls for it. The Holy Bible recounts the parable of a Prince who is oblivious of his status and how he would most likely dine, or even serve slaves, surrendering his horse for the slave to ride on while he goes afoot, all the days of his life. That is what Nigerians have reduced themselves to in the hands of politicians; pawns in the power game. Therefore, the Buharists and Atikulators of this world will continue to take the citizens for granted by grandstanding over opportunities to speak to them directly and prove why they are worth the hire. And like slaves who do not know left from right, the same people who are denied good governance would fight the war of the slave drivers even destroying relationships built over the years. Nigeria’s situation will remain a vicious cycle of mutual extortion and exploitation for as long the twin poverty of the idea and the stomach afflict the people. The people’s collective will continue to be subjugated by their leaders, they will continue to get tokenistic offerings barely enough for subsistence and sacrifice the good of the land for ever. May the people of Nigeria find wisdom.